We are doing really well with this campaign. There has been massive support and we are building excellent local and social media support. 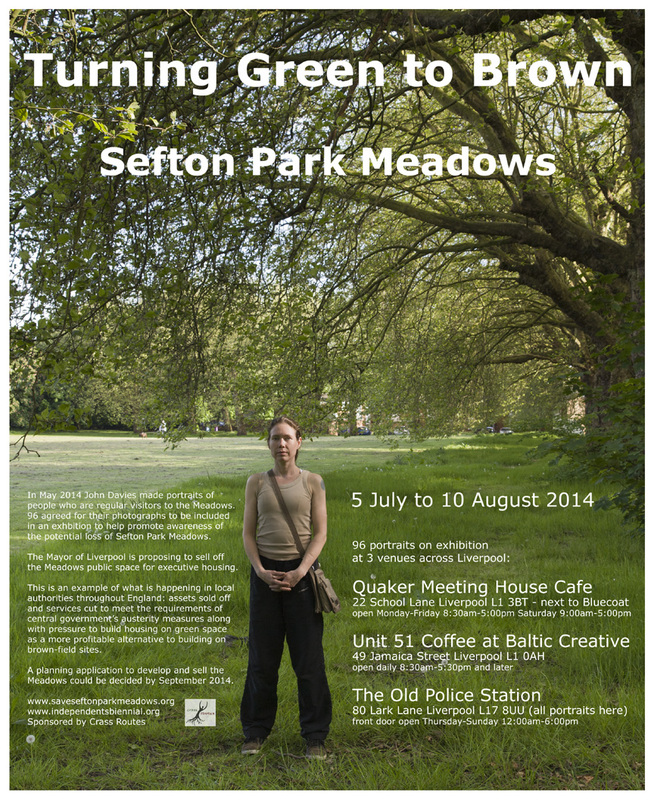 But Liverpool Council are still selling off the Meadows. They still want to dig up the most beautiful green space in South Liverpool for expensive, half a million pound houses. The Campaign is considering the next steps and how to keep up the pressure over the summer – before the council advertise for developers. We need ideas to engage more with the public, and ways to attract local media. We need help from legal people and planning people to map out our next steps. We want good ideas for engaging with national politicians/media. Categories: IDEAS | Tags: campaign, city, conservation, council, disposal, environment, green, health parks, housing development Liverpool, liverpool, Liverpool City Council, Liverpool greenspaces, Loss of Open Space Notice Liverpool, Loss of openspace, Mayor, meadows, Merseyside, Park Avenue, Sefton Park campaign, Sefton Park Meadows, Sefton Parklands campaign, sell off Liverpool | Permalink. An exchange of emails between formal Lib Dem Councillor Jan Clein and Mayor Joe Anderson has confirmed that the Meadows are within Sefton Park Boundary. At the start of our campaign to stop the sell off, Joe stated that they were not. (at the first Regeneration Committee in April, on air with Radio Merseyside and in written answers to campaigners). The land registry title deeds also describe the Meadows as Sefton Park. The Mayor has called the Meadows ‘Incidental Open Space’ – words which are usually used to describe verges and small bits of land left over from development. This was also used in the Council’s Loss of Open Space Notice. The Meadows are certainly not incidental open space. All of the council’s greenspace reports and open space planning documents list the Meadows as one of the highest value greenspace sites in Liverpool, with the highest category of protection.They are prime parkland, within the historic Sefton Park boundary, within the Sefton Park Conservation Area, and an important part of this great city’s heritage. They provide a huge range of ecosystem services, regulating air, water, pollution, climate – costed by UK govt and European Commission reports at millions of pounds. They are important to health and are an important recreation and amenity space. NONE OF THIS IS COVERED BY ‘INCIDENTAL OPEN SPACE’. Categories: Uncategorized | Tags: 2013, campaign, climate, conservation, council, disposal, economic value Meadows, environment, European Commission, green, health parks, housing development Liverpool, Liberal Democrats, liverpool, Liverpool City Council, Liverpool greenspaces, Loss of open space, Loss of openspace, Mayor, meadows, Merseyside, Park Avenue, parkland, Sefton Park, Sefton Park Meadows, sell | Permalink. We achieved an incredible 7257 signatures on the Save Sefton Park Meadows petitions. This shows the huge level of opposition to the Mayor’s plans to build luxury housing on this valuable and outstandingly beautiful area of Sefton Parklands. Thanks to everyone who signed and helped collect signatures over the last 3 months. PLEASE COME AND JOIN US to hand in the petitions to Mayor Joe Anderson’s Cabinet on Friday 7th June at 8.30 am at the Town Hall. Bring your banners and show your opposition to this shortsighted and wrongheaded plan! The campaign group has asked Cllr Sarah Jennings from the Liverpool Green Party, who started the original e-petition, to present the petitions as this is NOT A PUBLIC MEETING like other meetings we have attended and been able to speak at. Please see the link for more details about the Cabinet Meeting. Categories: Uncategorized | Tags: Councillor, Joe Anderson, Mayor, Petition, Save Sefton Park Meadows, Sefton Park, Sefton Parklands, United States | Permalink.